By Kathleen J. Elliott M.A., Carmen Geraci M.A. and David Ebner Ph.D. 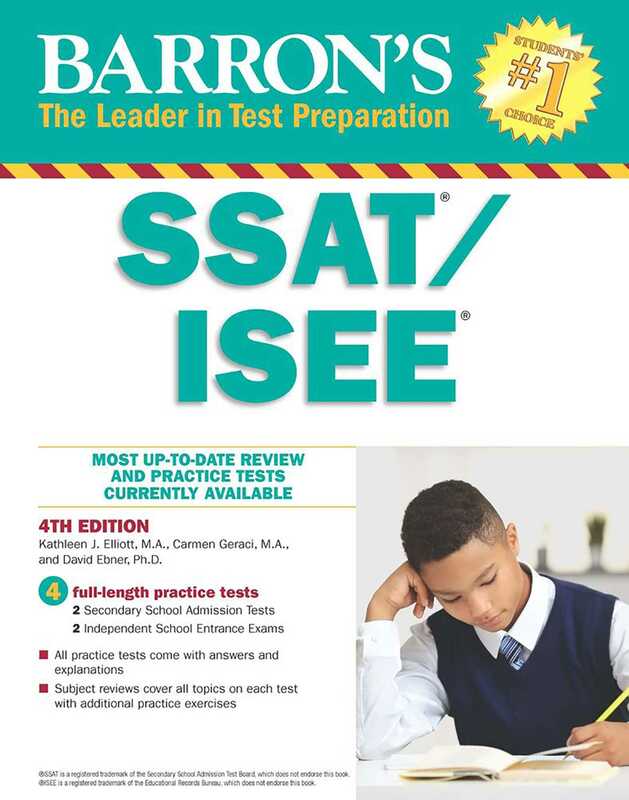 This updated manual prepares students to pass either the Secondary School Admissions Test (SSAT) or the Independent School Entrance Exam (ISEE), nationally administered tests used as admission requirements by many private secondary schools. Review material is set up in a way that will help students recognize and pinpoint areas where they need more intensive study.